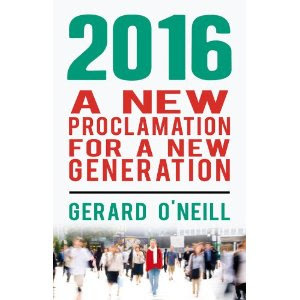 Nice post Gerard, I agree with the principle but you do need to educate the public sector to the realities of life. Monday's Q&A was a prime example of where a public sector contractor worker lost the plot when one of the audience make a similar argument. Her husband has been let go and she was a special needs teacher, where the whole profession are somewhat up in the air given the potential for possible cuts. Savings need to be make in middle and upper tiers first, then perhaps on the lower tiers / front line services. Trying to explain this is more than a battle given the example of the likes of the CPSU. I think the polls have gotten to the political parties, Labour saying everything the public sector workers want to hear. Fine Gael is probably reconsidering it options and policies in this area given its stall in the low 30's. I'm hopefully that maybe something might come of the new mini budget at the end of the month however it will not be enough given the track record of the government. Ivan Yates made a good point on Q&A echoing comments from Garret Fitzgerald and others about front loading the suffering / cuts now rather than later. Perhaps with a bit of luck somebody in the government was listening an will take it onboard. There are interesting parallels with how New Zealand modernised or contract-ised its civil service. Parts of it could potentially work for Ireland as a developed nation. Have a look at ``Why Most Developing Countries Should Not Try New Zealand's Reforms'' with the reminder that we're supposedly a developed country but that's an argument for another day.